Winter. Below zero temperatures. You go out to run some errands, in and out of warm stores all the time. Doesn't it bother you that you continually have to take you cap off and put it on again before going outside? Well, now it won't anymore. This scarf and cap is an original and practical winter kit that will get you going in freezing temperatures! As Pink says: "Let's get this party started". The first thing you have to do is to choose some nice wool, preferably in a color that matches most of your coats and sweaters or, on the contrary, you may want to choose bright colors so the scarf and hat stand out. 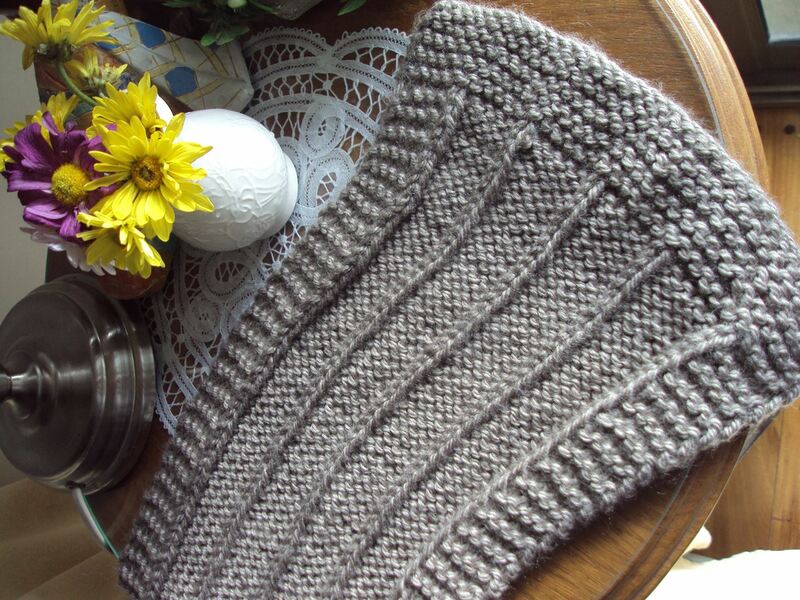 I have chosen this taupe wool that can be easily combined with black, brown and grey. 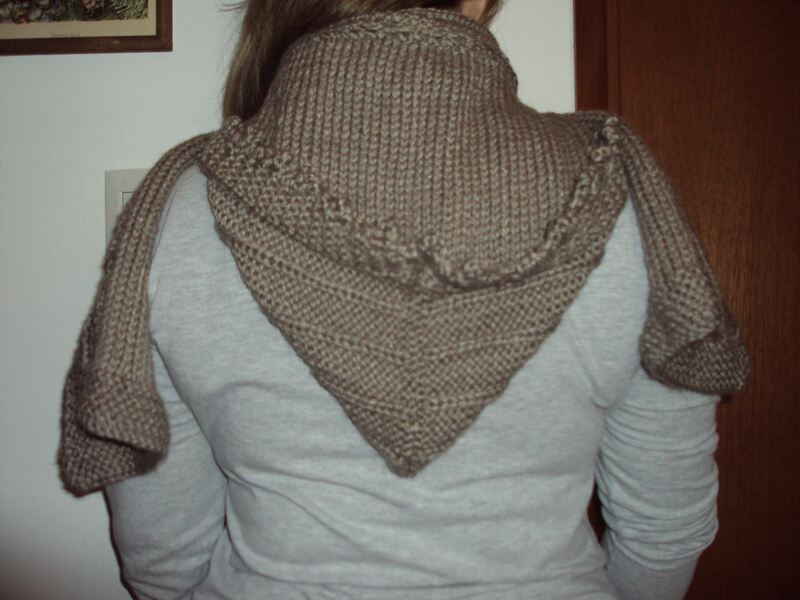 I have also chosen a simple yarn so that the pattern I created is easily visible. This is the pattern I created. 9th row/knit side: knit 7 stitches, purl 5 stitches, knit 1 stitch, purl 5 stitches, knit 1 stitch, purl 5 stitches, knit 1 stitch, purl 5 stitches and finally knit 7 stitches. 10th row/purl side: knit 6 stitches, purl 1 stitch, knit 5 stitches, purl 1, knit 5 stitches, purl 1, knit 5 stitches, purl 1, knit 5 stitches, purl 1 and finally knit 6 stitches. We have to continue this way until we reach the desired scarf length. We then finish the knitting as we started—knit the last 8 rows and cast off the stitches. In order to add the cap, we have to fold the scarf in two and locate the midpoint, where we will pick up one stitch that will be taken as reference. We will cast on the stitches for the cap—pick up 36 stitches to the left and 36 stitches to the right of the reference stitch. Pick up 36 stitches to the left and 36 stitches to the right of the reference stitch. 1st row/knit side: 7 knit, 5 purl, 1 knit, 5 purl, 1 knit, 5 purl, 1 knit, 5 purl, 1 knit, 5 purl, 1 knit, 5 purl, 1 knit, 5 purl, 1 knit, 5 purl, 1 knit, 5 purl, 1 knit, 5 purl, and finally 7 knit. 2nd row/purl side: 6 knit, 1 purl, 5 knit, 1 purl, 5 knit, 1 purl, 5 knit, 1 purl, 5 knit, 1 purl, 5 knit, 1 purl, 5 knit, 1 purl, 5 knit, 1 purl, 5 knit, 1 purl, 5 knit, 1 purl, 5 knit, 1 purl and finally 6 knit. We continue like this until the knitting reaches the height from you shoulders to the top of your head. Once it covers your head, we cast off all the stitches at once. We finish this work by folding the added part into and sewing it to form a cap. (1) Folding the added part... (2) ...into and sewing it to form a cap. Finally we crochet a lace edging all around the cap, as you can see in the picture. Lace edging all around the cap. So now, instead of having to hold you cap or having to put it in your bag every time you enter a warm place, you just simple pull off the "hood" and you hands are free! Hey, great tutorial ^^ But what size/number of knitting-needles did you use? Hi Stefan! I actually do not remember the number of knitting-needles. The thing is I moved and everything is still packed. But I guess I must have been 6 or 7. Hope it helps!